Is Your Website Ready for the Mobile Generation? Mobiles are changing our world. Today, everyone is almost always carrying a smartphone. The number of smartphones has surpassed the number of personal computers (PCs). It is now critical to have a mobile-friendly website as part of having a strong online presence. Responsive Website Design refers to the design approach with the goal of creating sites that can easily be navigated and viewed with minimal: scrolling, panning, and re-sizing, across virtually any type of device. 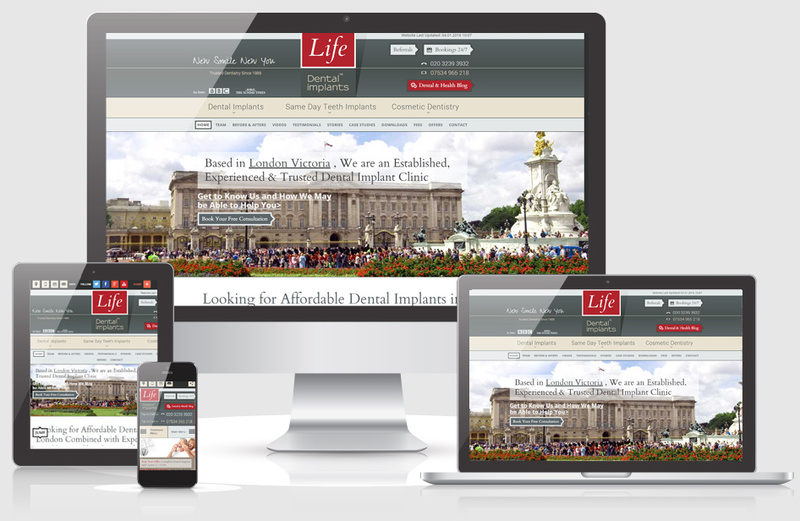 A website designed using RWD automatically adjusts its size to fit any device, such as a smartphone, a PC, or a tablet. The device dictates the RWD-designed site to adapt the layout and content accordingly for the most favourable viewing experience. A mobile site is a must if you want to reach as many people as possible. If you have a website that is not designed to be viewed efficiently on mobile devices, your potential clients will most likely end up frustrated and will be turning to competitors who offer what you don’t have – the convenience of an easy to navigate mobile site. A business should not only have a website – you will need to ensure that the website is mobile-friendly as well. Even if a site has all the elements for success, it will not reach its full potential if it cannot easily be viewed on mobile devices. The way your website is designed can either pose a problem (turning away potential customers) or provide an opportunity (reaching as many potential clients as possible). A mobile-friendly site turns an obstacle into an opportunity. Everyone is now turning to their mobile devices to access information. The simplest to the most complicated details are searched for while on the go, and a mobile-friendly site is essential for an efficient search. It is difficult and annoying to come across a site that doesn’t load or cannot be viewed properly on a smartphone, tablet, or mobile phone. If a user goes to your site and encounters such issues, there is a very high possibility that the search will continue until that user finds a mobile-friendly site. Without a mobile-accessible site, what could have been an opportunity quickly turns into a serious obstacle for your business. Many Very Creative websites are built using WordPress CMS (content management system), which enables the client to easily update the site. Clients can breeze through making customisations and adjustments because of WP’s ease of use. WordPress is the most popular CMS and blogging platform. To date, more than 25 million people use WordPress as their blogging software or content management system of choice because of the ease of use and flexibility it offers.